and applying Sharpen A.I. on CJ's upscaled textures. This mod is WIP. No ripped/fat clamps/versions of CJ yet. Model/texture bugs exist. Some stuff in this mod might be changed/replaced in next versions. v0.3 - More bug fixes. 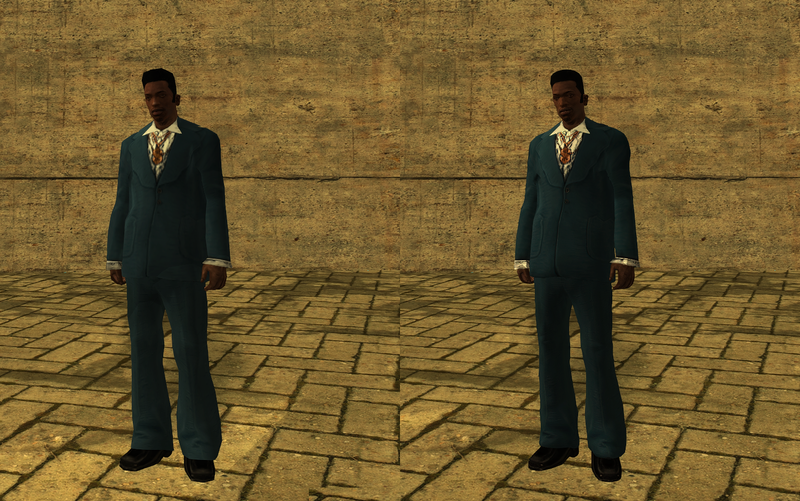 All CJ skinny version/clamp clothing items, except watches, neckities, cutscene models, and few others from vanilla player.img, are completed. Put "A.I. Remastered CJ" folder in modloader. Zeneric (A.I. 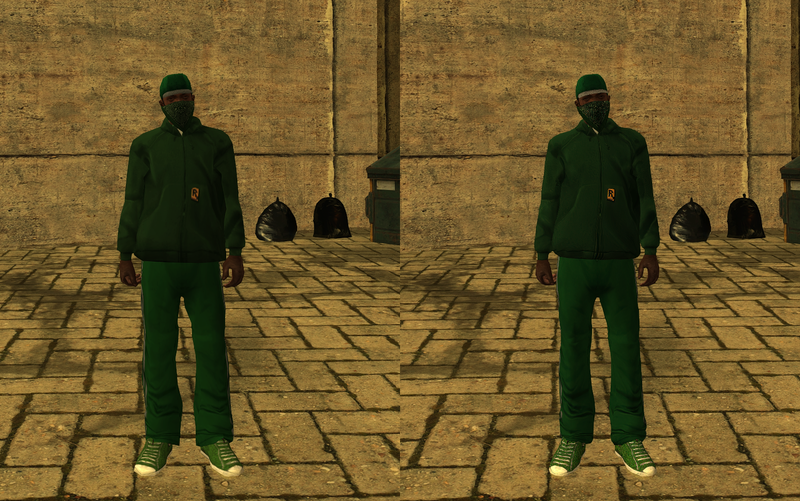 Remastered CJ - https://forum.mixmods.com.br/f23-skins-player/t1841-wip-a-i-remastered-c-j). TreeMarmot (ESRGAN Outcast model - https://www.moddb.com/mods/jedi-knight-neural-upscale-texture-pack/downloads/esrgan-model). i was wondering where you've been after saw meshmood countryn2 , but dangggg this is looks good ! keep it up Zeneric ! A revision of the previous hairstyles. Meshsmoothed in a different way - previous versions were done with quad output (subdivision method for meshsmoothing). This new version of hairstyles was done with NURMS (subdivision method). 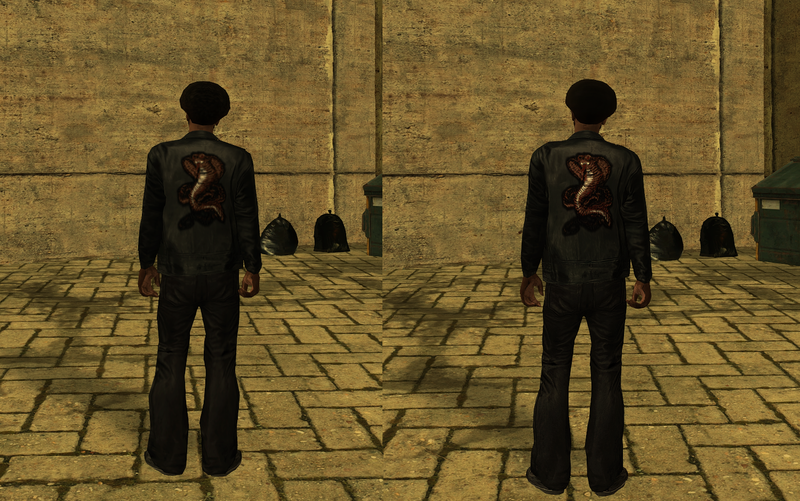 NURMS seems to meshsmooth vanilla CJ more accurately, not losing vanilla details, and smooth better than quad output. NURMS_hairstyles is compatible with any versions of A.I. Remastered C.J., and vanilla CJ. The next version of A.I. 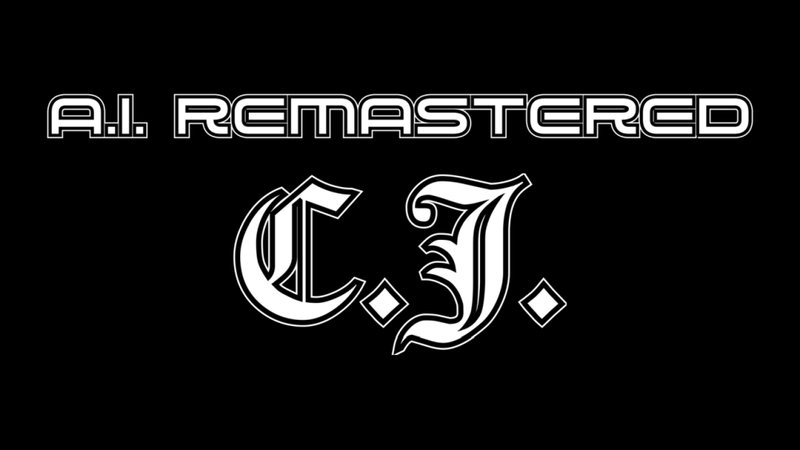 Remastered C.J. will be a redo for CJ's models - meshsmoothed with NURMS. The real reason I decided to redo is to ensure no skin weight problems (or at least almost none) this time. Better to re-do than to fix (especially when there're too much problems to fix).